Chelsea are hopeful an injury Antonio Rudiger suffered during the defeat against Liverpool is not serious. The German defender was helped off the pitch four minutes before half-time of the game at Anfield with what appeared to be a knee problem. The initial verdict of the club’s medical team is that the injury does not look a cause for major alarm, but Rudiger will be further assessed at Chelsea’s Cobham training ground on Monday. Maurizio Sarri said: “I hope nothing serious of course but at the moment I am not able to say anything. Meanwhile, Sarri stood by his decision to play without a recognised striker against the Reds. Chelsea were beaten 2-0 on Mersyside, where Sarri started with Eden Hazard as a so-called false nine. The Blues head coach responded to Liverpool scoring twice in the space of two second-half minutes by bringing on striker Gonzalo Higuain. His team were immediately transformed by Hazard reverting to his natural role and the Belgian hit the post during a spell of pressure in which Chelsea very nearly found a way back into the match. But Sarri insisted he had no regrets about his team selection. “I think our solution with Eden as a false nine was the right one today,” he said. The result took Liverpool back to the top of the Premier League, while Chelsea remain fourth. 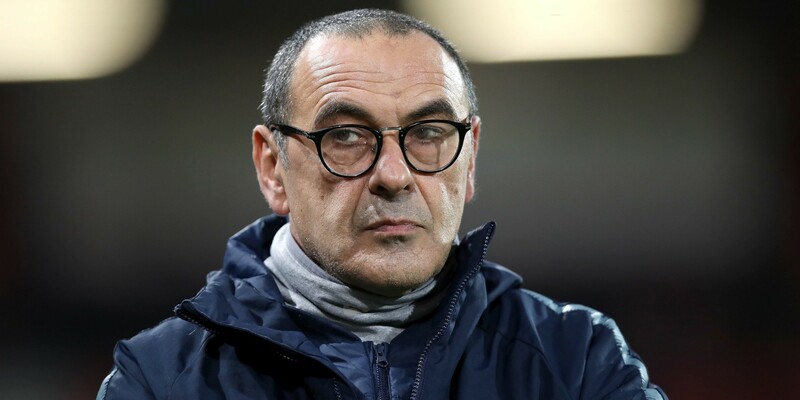 “Liverpool are one of the best teams in Europe but I think we stayed in the match very well,” Sarri said. “I think we were a little unlucky with the timing of the second goal and then we were unlucky because we had three goal opportunities – two with Hazard and one with Higuain – and we hit the post for the 35th time this season. Sarri is insensitive to football issues. He has been severally told to play Hazard at his natural position but he remained adamant. Play kante well ,he again refused. He wants to destroy Chelsea and the board is helping him to achieve his aim. Sack sari and Chelsea will play good games.Sarri ball my foot.